Having a legacy credit union core system in place can cause a myriad of problems. Systems that are unable to adapt and pivot to changes within your credit union are difficult to manage and maintain. For example, if your credit union is experiencing significant growth your core system should be able to scale with you. This might mean bringing in best of bread third-party products that integrate with the core through APIs or it might mean increasing your storage capacity for documents, member history, etc. A recent study found that 70% of executives in the banking industry fear that their current processes cannot adapt to market changes quickly enough. If your credit union finds that even the simplest tasks send you running to a programmer for IT support, that indicates your core might be unsustainable. Any core system is a significant investment, but at what point is the investment no longer profitable? Legacy systems require significant maintenance, whether that be in terms of your CU’s time or actual funds spent to upkeep the system, and may no longer provide an ROI. While a new converting to a core data processor will be a significant expense, as well as a lengthy selection and conversion process, it will be worth your while. Outdated technology will not provide the full range of features and benefits that members are looking for, nor do CU staff enjoy working on a system that lacks the solutions they need to meet members’ needs. Some legacy providers have recognized their core software is an aged product, but rather than sunset the platform, they enter into what the industry terms "maintenance mode." While not advertised as such, it will become obvious to credit unions that their provider has deemed their core to be in this category by the lack of new features and integrations being made available. For some CU's, this may be a sustainable relationship, so long as the customer service and technical support is adequate and there is a fix for every break. But over time, this too can become taxing. Core systems that lack the integrations options your credit union needs are not sustainable for the long haul. Integrations with key third parties can be vital to running efficient and effective operations. 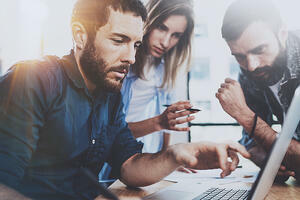 According to a recent study by NTT Data Consulting, 53% of leaders in the financial industry claim new product innovations and integrations are the most compelling reasons to invest in a new core. Some credit unions will integrate 30-50 processes or more in their systems! The inability to integrate with other financial technologies and vendors is a huge red flag. A closed core system is restricting your credit union from features that would benefit members and differentiate your institution in competitive markets. As mentioned, some credit unions can require up to 50 integrations in order to offer the full range of services that members are looking for, and if your legacy system would crack under the pressure, it’s time to start looking for a new one. Once your credit union has come to the conclusion that a new core conversion is a necessary next-step, take the time to shop around. Investing in a new core is not only a huge expense, but the platform you go with will be an integral part of your credit union's operations, and it’s important to take enough time to find the right fit. Consider what you like about your current system as well as areas that are lacking and come up with a "wish list" of features you'll need in your new system. Price will certainly play a role as well. Some systems will come complete with all the bells and whistles while others will just be a wire frame and still require many third-party add-ons. Be sure to do an apples to apples comparison and take into account the additional costs of areas where the core will not deliver which will require a third-party. Spending the extra cash on third parties your sales rep didn't mention you'd need can quickly burn up the budget you thought you'd be saving. Technology has changed rapidly over the past several years, leaving many credit unions yearning for a new core system. 80% of US bankers would like to update their core system, however, the process of getting there is a long road. Making the leap to a new core is a daunting decision for credit union CEOs, but for many CUs, there comes a time when a legacy system is no longer a viable option. If your credit union is experiencing any of the issues above, it could be time to consider switching to a new core provider.